This course will provide a way of understanding the current political crisis with special reference to state capture. Participants will be introduced to the literature on neopatrimonialism, the political economy of development and democratic governance that have been used to develop an analytical framework. An analysis of the dynamics of economic development and governance since 1994 will set a context for understanding the rise of the Zuma-centred power élite and the construction of the symbiotic relationship between constitutional and shadow state. The last lecture will discuss alternatives, including what it will mean to build a new economic consensus as well as the negative implications of the nuclear deal. The implications of the outcome of the ANC conference in December 2017 will be considered, including prospects for the emerging broad front. Bhorat, H. et al. Bhorat, H. et. al. Beyond the Promise: How South Africa Is Being Stolen. Bhorat, H. et al. Economic Policy in South Africa: Past Present and Future. Public Affairs Research Institute. The Contract State: Outsourcing and Decentralisation in Contemporary South Africa. 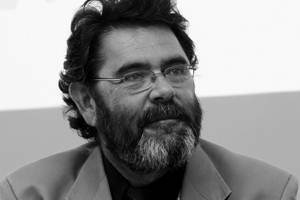 Professor Mark Swilling is the coordinator of the Sustainable Development Programme in the School of Public Leadership, University of Stellenbosch; the academic director of the Sustainability Institute; and the co-director of the Stellenbosch Centre for Complex Systems in Transition. The primary research focus of his career can be defined as ‘societal transitions’ within the wider discipline of sustainability science and governance, with a particular contextual focus on urban sustainability. His published research was coupled to major institution-building collaborations – an achievement that was recognized in 2010 when he was awarded the Aspen Faculty Pioneer Award for success in introducing sustainability into leadership education. In addition to over 60 academic articles/book chapters, he has published several books including (with Eve Annecke) Just Transitions: Explorations of Sustainability in an Unfair World (2012), Untamed Urbanisms (2015) and Greening the South African Economy (2016). Haroon Bhorat is a professor in the School of Economics and Director of the Development Policy Research Unit (DPRU), at the University of Cape Town, South Africa. His research interests cover labour economics, poverty and income distribution. He holds the National Research Chair under the theme of Economic Growth, Poverty and Inequality: Exploring the Interactions for South Africa. The co-author and editor of a number of books on labour market and poverty issues in Africa, he has published more than 150 academic journal articles, book chapters and working papers. He was recently appointed to the editorial advisory board of the World Bank Economic Review. 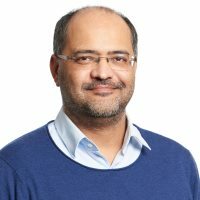 Haroon is a Senior Fellow at the Brookings Institution affiliated to the Global Economy and Development Program, and the Africa Growth Initiative (AGI). He is also a Research Fellow at IZA, the Institute for the Study of Labour in Bonn, and an Honorary Research Fellow at the Human Sciences Council (HSRC). He is a member of the Board of the UNU World Institute for Development Economics Research (UNU-WIDER). Haroon consults with international organizations such as the ILO, the UNDP, the World Bank, Ratings Agencies and emerging market fund managers. He was a member of the World Bank’s Advisory Board of the Commission on Global Poverty as well as a member of the Program Committee of the 2017 International Economic Association (IEA) World Congress. He is on the advisory committee of the joint United Nations and World Bank Policy Study on the role of development in the prevention of violent conflict. He is also a member of the UN/WHO’s High Level Commission on Health Employment and Economic Growth.